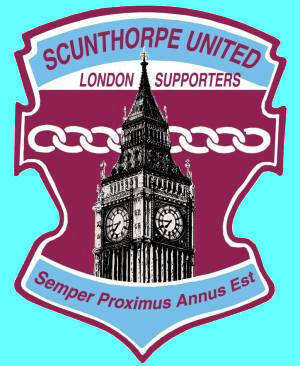 FULL NAME: Scunthorpe United London and South East Supporters' Club. DATE FORMED: August, 1987 - the inaugural meeting of six exiled Scunthorpe supporters living in the capital was held in The Chandos on Trafalgar Square. It was a 'test the water' kind of meeting to see if there was enough interest to form a London Supporters' Club – we've been going 24 years now, so there obviously was! INDEPENDENT/AFFILIATED: We are an independent supporters' club with no ties to the official SUFC Supporters' Club. CURRENT MEMBERS: The club has grown steadily since its formation and we have averaged around 100-120 members for the last 10 or so years. TRAVEL INFO: Trips to away games usually by train. Home games on either car sharing basis or by train. FUNCTIONS: Darts team playing in APFSCIL League is usually the main reason for get togethers. Weve been members of the darts league since the early nineties. 1. Without a doubt the four charity cycle rides we have organised since the sad death of chairman John Birkett from cancer in 1998. A year after John's death, a sponsored cycle ride from Leyton Orient's ground to Glanford Park, Scunthorpe, was held in March 1999, in aid of Cancer Research in his memory. Five SULSESC members cycled the 180-mile journey in three days and raised more than �6,000 for Cancer Research. Since then, further rides have been staged to Bournemouth (in 2000), to Torquay (in 2001) and most recently in April 2011, from Loftus Road, QPR to Glanford Park when nearly £13,000 was raised through sponsorship for RNLI and Diabetes UK. 2. Increasing the usual Saturday bar takings at the Bricklayers Arms Greese Street by more than 400 per cent on the occasion of United's promotion at Wembley in May, 1999!